Today's topic for NaBloPoMo is: Who is someone you wish you could see again? Immediately, my mom came to mind. 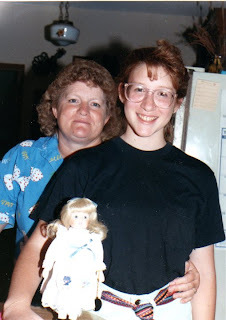 I hesitated to talk about her because 1) I feel like I've mentioned her a lot and 2) earlier this week I did kind of a tribute post about my older sister for her birthday. 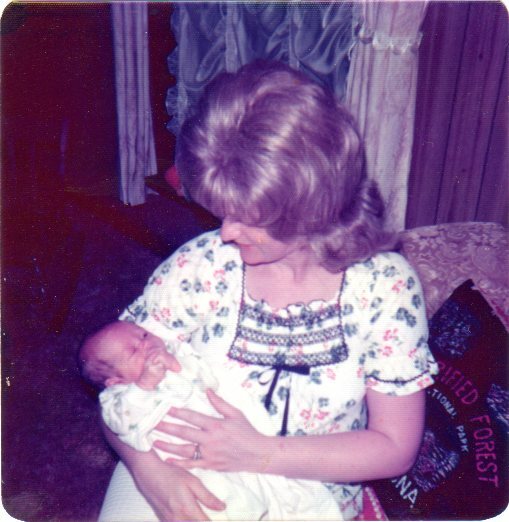 I thought reminiscing about my mom might be redundant. But then I figured, it's the most honest answer. Plus, I've gotten some new readers recently. The last time I saw my mom was December 13, 1994. I gave her a hug and a kiss good-bye before heading out to school. I had no idea that would be the last time I would see her. Late that afternoon, she was killed in a car accident. It was devastating. I was a senior in high school, and my whole life suddenly changed. She was kind and caring and so full of love. Now, nearly 18 years later, I still miss her and think of her often. 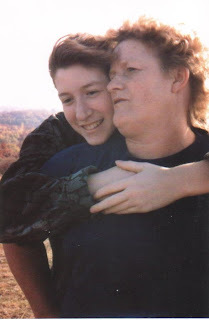 The pain of losing her has lessened over the years, but she will always be in my heart. 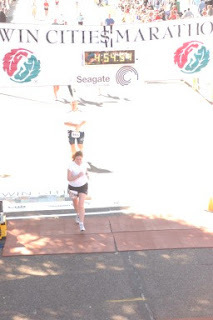 This is me finishing my 2nd marathon (2003). (same marathon the previous year). These two marathons are definitely among my proudest health/fitness accomplishments. I wish I could give her a hug and hear her laugh. I wish I could sing silly songs with her. Off-key, of course. What is your proudest health/fitness accomplishment?